It seems in the past year or so hair crimping has becoming an in thing again. I've never used crimpers before so when I was sent these* I was pretty excited to try them. Create perfectly defined, long lasting texture in the hair. Ultra fast heat up and tourmaline-ceramic coated plates for fast results and a smooth, shiny finish. Up to 210°C salon performance and ultra fast heat up. 1 ½ inch Tourmaline-ceramic coated plates for a shiny finish. Cool tip for easy, comfortable styling. 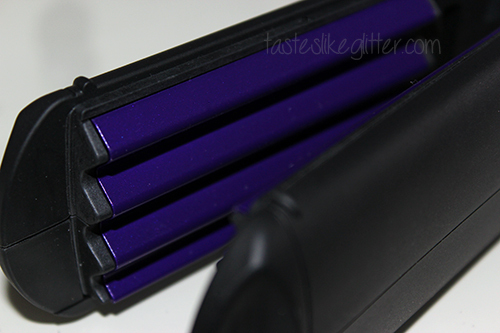 The Pro Crimper comes in black with purple ceramic plates. My camera failed to pick up the colour but they're very Dairy Milk purple! 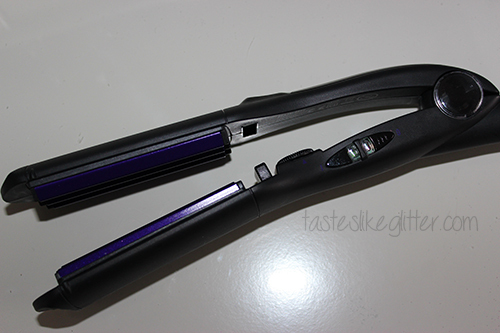 The only downside about the styler is that the heat dial is on the inside and it's incredibly difficult to see what temperature you're selecting if you're not in the right light. I didn't find the instructions to be of much help so I fiddled around with the styler until it was on a medium heat. As I decided to try it all over I opted for a softer crimp. They heat up quickly and are really easy to use once you get going. Whilst my hair is short, it still didn't take me long at all to style it. The crimp held up well and stayed in until I washed my hair. It gave me a ton of volume. If I had longer hair I could see me using this on the underneath layers of my hair, whilst having the top layers straight. It would stop my hair from having that really flat straightened look to it. 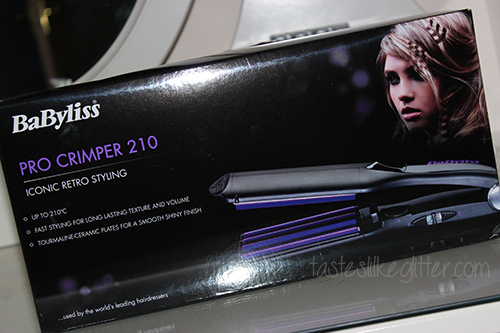 These are such a great price and Argos offers a wide range of good value hair stylers. If you aren't too bothered about price they sell numerous crimpers from Lee Stafford and Babyliss.